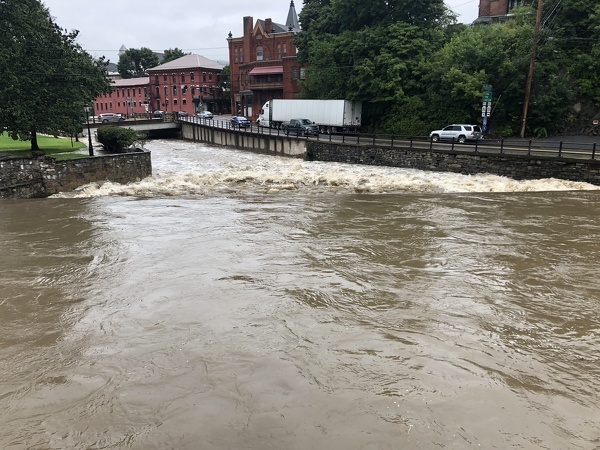 South central Centre County was under a flash flood warning for much of the day on Friday as heavy rain caused minor flooding of creeks and streams. The warning expired at 3:45 p.m., but a flash flood watch remained in effect for much of the county until 10 p.m. 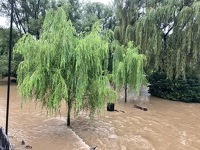 According to the National Weather Service, as much as 3 inches of rain fell early Friday morning before another line of downpours moved in, bringing another half-inch to 1 inch of rain. 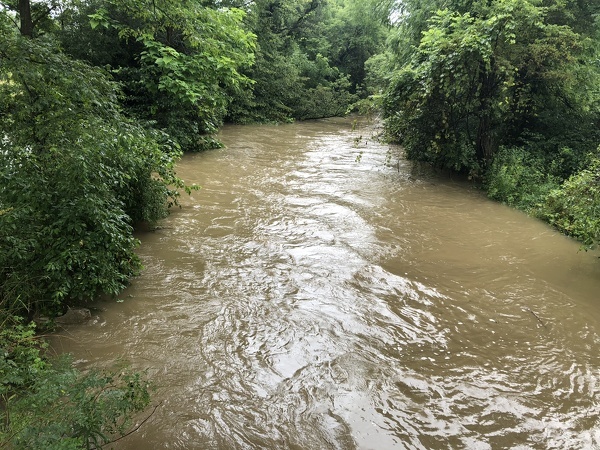 At well over 7 feet, Spring Creek at Houserville was at its third highest level since 1990. Bald Eagle Creek at the Beech Creek station was at 11.25 feet, .25 feet above the 11-foot flood stage. Minor flooding of Spring Creek caused the closure of Puddintown Road in Houserville, as well as the bike path from Puddintown to East College Avenue. Puddintown Road was expected to remain closed between Balmoral Way and Orchard Road until early Saturday morning. 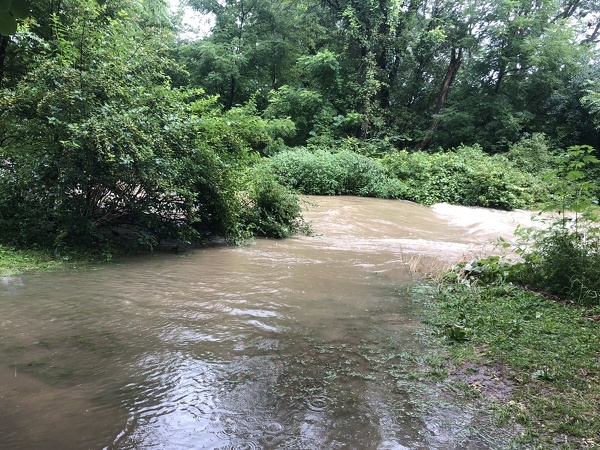 At Spring Creek Park, water was running high and spilling over the bank and into the walkways in the park. 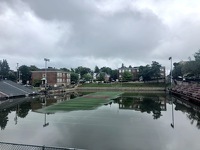 The 1100 block of East College Avenue near Your Building Center was partially closed for more than an hour on Friday morning, but reopened early in the afternoon. Fox Hollow Road at Big Hollow Road also was down to one lane of traffic because of roadway flooding. Route 144 between Irish Hollow Road and Forge Road in Bellefonte was closed on Friday afternoon, and Route 26/Jacksonville Road was closed between Weights Lane and Hubler Ridge Road in Marion Township. Portions of South Eagle Valley Road between Wingate and Port Matilda also were closed. NWS urges people to avoid driving or walking through flooded areas. 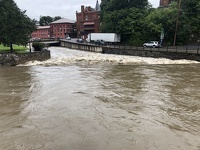 At Talleyrand Park in Bellefonte, Spring Creek spilled over into the southeast portion of the park. AccuWeather's Jesse Ferrell reported that passersby found a dog tied to a tree next to the rising Spring Creek along Rock Road. A local rescue agency was called and took the dog. 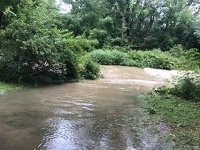 Areas that were expected to experience flash flooding include State College, Huntingdon, Bellefonte, Park Forest Village, Boalsburg, Pleasant Gap, Stormstown, Lemont, Zion, Houserville, Pine Grove Mills, Centre Hall, Milesburg, Ramblewood, Spruce Creek, Julian, Franklinville, Whipple Dam State Park, Rock Springs and Bald Eagle State Park. PennDOT suspended drainage work for the Potters Mills Gap project on Route 322 and temporarily lifted the westbound detour on Friday. The detour and around-the-clock work were expected to resume on Saturday.. 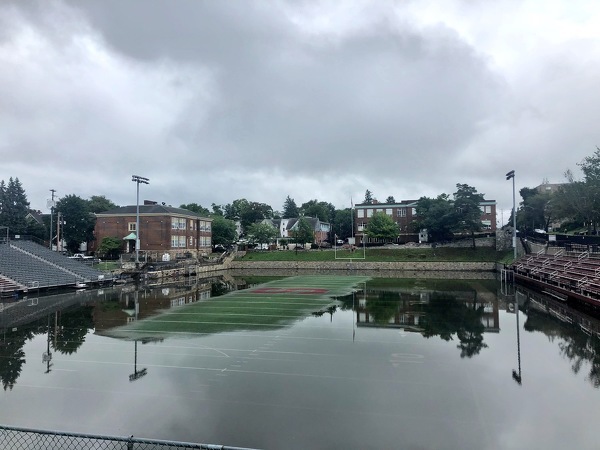 Rain was still in the forecast heading into Friday night, with drier conditions predicted for the weekend, though showers and thunderstorms are still possible on Saturday, according to NWS. Check out some of Friday's scenes in the gallery below. 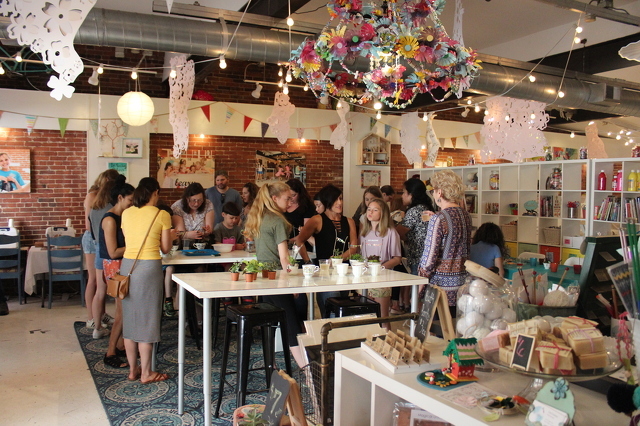 From First Friday to First Sunday, theater to concerts, carnivals, community events and more, we've compiled some of the highlights from around the area this weekend.